In 2015, Acura has changed a little one of their “Trojan Horses” the MDX. Now in its third generation, this midsize luxury SUV was completely redesigned. Sales of the model exceeded 700,000, since it was introduced in 200. The reason for such success is not hard to find: the MDX deploys its full options in it’s base models that competitors put in enhanced models. The MDX safety features speak for themselves. It is a quiet, efficient and very safe vehicle, credited with a 5 stars average for the National Office of Traffic Safety. 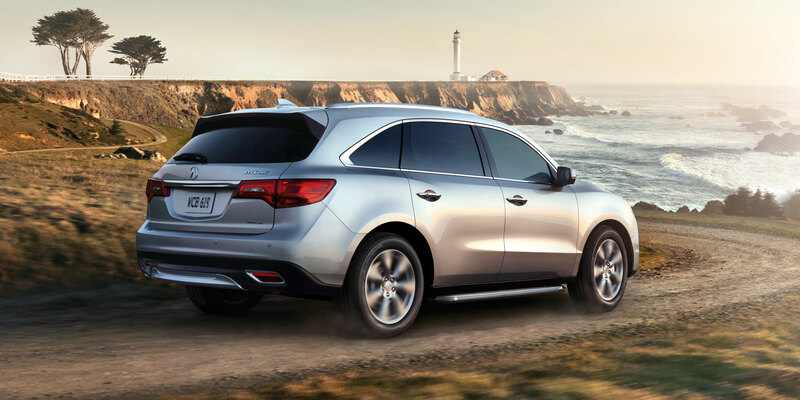 With the redesign last year, Acura Aero Sculpture incorporates style and greatly increases the MDX’s aerodynamics. It is spacious with three rows of seats. Acceleration is not a problem with an efficient engine and 3.5-liter V6 capable of generating 290 horsepower. Standard models have 6-speed transmission, front wheel drive and good fuel economy, 20 miles in the city and 28 in the highway.